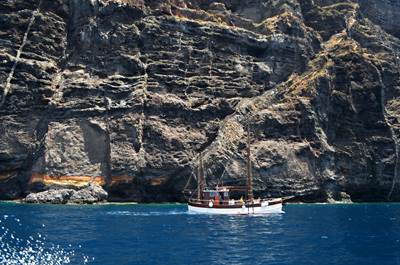 Before Columbus stocked the Santa Maria with supplies from the neighbouring island of La Gomera and set sail on his atlas-changing voyage, the wild and remote Canary Island of El Hierro was the very edge of the Ancient World through which, in the second century, Ptolomy had placed the zero meridian. Beyond its rugged coastline navigational maps showed only the vast and unknown, dragon-infested Atlantic Ocean, before the world ended in a drop to oblivion. Four centuries after Columbus, the zero meridien passed to Greenwich and all but the most ardent of scholars overlooked the fact that the Canary Islands played such an important role in shaping our view of our world. 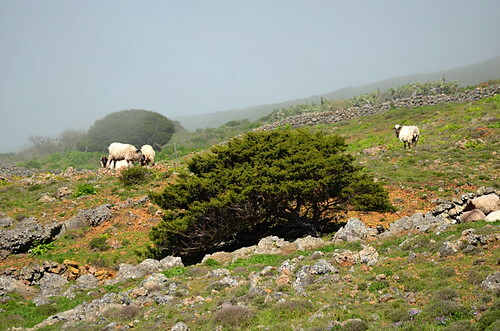 Fast forward another century and the island of El Hierro remains remote and mysterious. 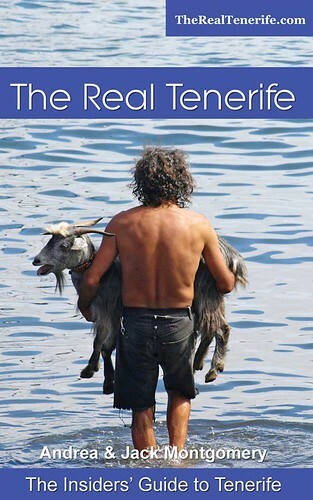 Once pivotal to ancient mariners, today it is insignificant on the tourist map, its beauty and tranquillity known only to those few visitors who make the three hour ferry crossing or 40 minute flight from Tenerife to enjoy its empty hiking trails, some of the best waymarked in all of Spain. As I climb the narrow, zig-zagging trail of La Dehesas which takes the feet of pilgrims from the village of Sabinosa, along a 500 metre ascent of the cliff face of El Golfo to the Ermita de la Virgen de Los Reyes, my views down to the lava strewn coastline below are swallowed up by swirling mists of low cloud. Emerging onto the ridge, 2.6km and the best part of an hour later, the many-faced waymark post is barely visible through the cloud which is depositing drops of moisture on the strands of my hair and soaking the earth and dense foliage as effectively as if there had been a downpour. Turning south I follow the ridge path as it gently descends, the cloud thinning with each step until finally, I emerge into warm February sunshine and a landscape more redolent of the Peak District than the Canary Islands. The dirt path undulates between dry stone walls which carve emerald pastures grazed by long haired sheep. 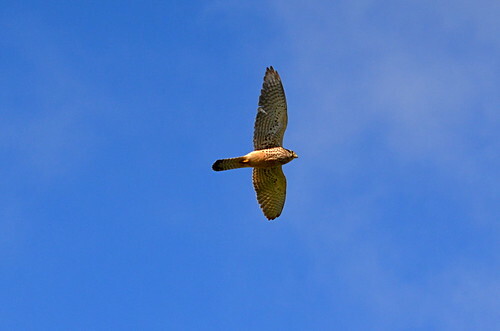 Above me kestrels reel, their eyes alert for the darting movements of lizards, tempted from their stony hiding places to warm their backs in the sun. 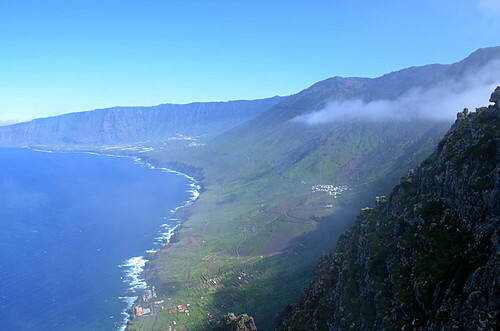 El Hierro was once home to a breed of giant lizards, some specimens of which, preserved in alcohol by 18th century biologists, measured up to 3.8 metres (12.75 ft) in length. A smaller relation of the giant lizard which measures up to 60cm (2ft) still exists on the island today and is now a protected and endangered species. A breeding and research centre in El Golfo basin is working hard to ensure its future. Turning north again, meadows give way to forests of wild juniper as once more low cloud envelops me. Nearing the edge of the cliff the fog begins to clear and strange shapes emerge. Tortured and twisted by the ever-present wind, ghost-like trees bow their white trunks in graceful supplication towards the Atlantic Ocean. 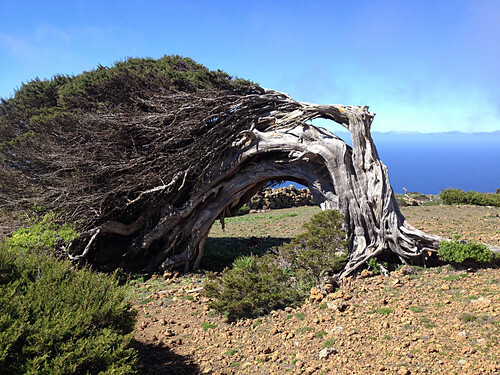 These are the iconic sabina trees of El Hierro whose normally upright and sturdy trunks are bent by the constant wind, their branches forced to grow along the ground before blossoming into leaf. Spurges and cacti tear at my trousers as I stumble my way through the inhospitable forest with its fantastical shapes silhouetted against the endless blue of the Ocean, accompanied by the low, moaning of the wind rushing through the distorted branches. It’s a fitting scene for the very edge of the world. 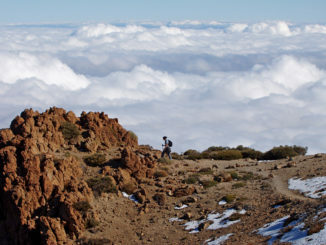 Beyond the El Sabinar forest, the path leads north once more to the spectacular Mirador de Bascos viewpoint from which the island of La Palma can be seen floating on the horizon while at my feet, the entire El Golfo basin stretches all the way to La Frontera. Created by a massive landslip 50,000 years ago which sent 300km² (116 sq miles) of dislodged earth crashing into the Atlantic and a tsunami believed to have been in excess of 100m (328ft) high coursing towards the east coast of America, the El Golfo is a fertile basin which flanks the entire north west coast of the island. Given over almost entirely to the cultivation of tropical fruits, the valley floor is coated in the silver spikes of pineapples and the torn leaves of banana plants. Along its coastline, pretty rock pools are hewn from the solidified lava and provide natural swimming pools to compensate for the lack of a beach. 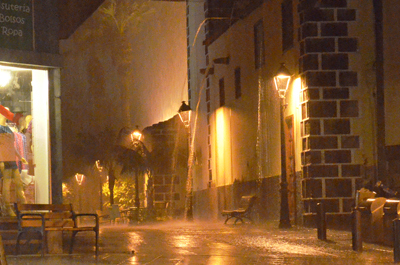 The settlements of La Frontera and Tigaday with their small selection of shops, a couple of supermarkets and half a dozen restaurants lie within El Golfo and provide a good base from which to explore the island. From Mirador de Bascos it’s an endless uphill trek on a cobbled camino real lined by dry stone walls to once again reach the ridge from which, given a brief respite from the cloud, the views have now opened up and I can see across the Atlantic to little La Gomera on the horizon, and beyond to the snow clad peak of Tenerife’s Mount Teide, Spain’s highest mountain. Out here, at the most westerly point of the Canary Islands, I feel as remote from the thronged southern beaches of Tenerife’s purpose built tourist resorts as Columbus must have done when he left the shores of San Sebastian and headed into the unknown. It’s ironic that the last land the great explorer would have seen for more than a month should today be so undiscovered amongst an archipelago bustling with northern European sun seekers. 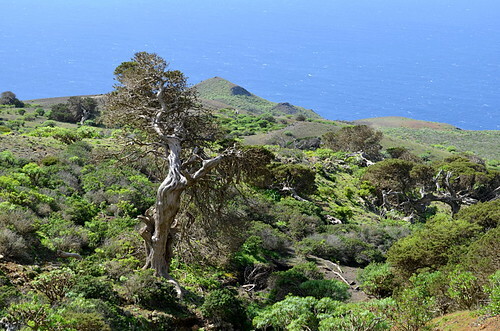 With its ghostly sabine trees, its giant lizards and its comprehensive network of stunning mountain paths where you can walk all day and never meet another soul, long may El Hierro remain so. 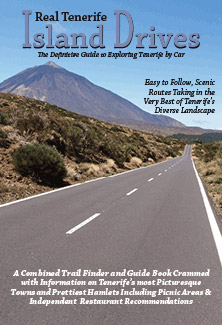 Budget Airlines and most others fly into Tenerife South Airport from which it’s a 20 minute taxi ride to Los Cristianos to pick up the three hour ferry (departs 08.45 &17.30 Tue & Thur; 17.30 Mon,Wed and Fri; 19.30 Sun; €84 return) to El Hierro. 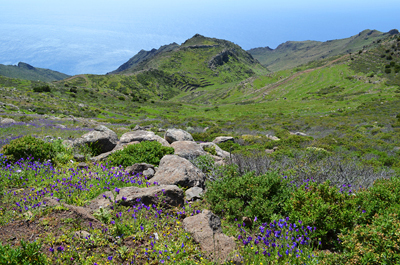 El Hierro has mild winters averaging 18ºC /64ºF and making October to March the perfect season to enjoy winter sunshine walking. 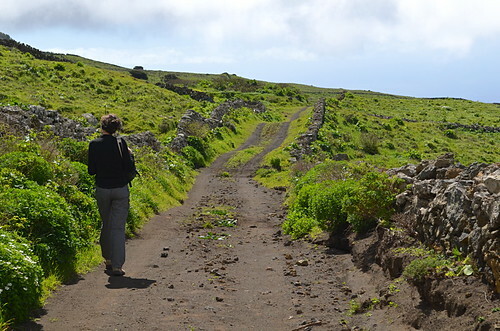 Inntravel are the only company to offer self guided, itinerant walking holidays on El Hierro. 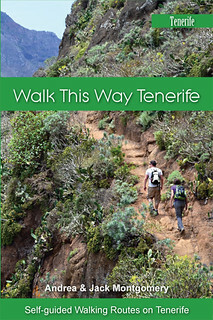 Walking anywhere on the Western Canary islands involves ascents and descents but there’s nothing too difficult and paths are clear and extremely well signed. Good general walking fitness and a head for heights is all that’s required.